SPRINGFIELD, Massachusetts -- The mayor of Dr. Seuss' hometown fired back at a school librarian on Thursday who called the children's author's books "racist" and "cliche" in rejecting a donation of them from Melania Trump. The comments of Cambridge Public Schools librarian Liz Phipps Soeiro were "political correctness at its worst," Springfield, Massachusetts, Mayor Domenic Sarno said in a statement. "One fish, two fish, red fish, blue fish, I think her comments stink and are ridiculous towards our beloved Dr. Seuss," he said. Dr. Seuss, whose real name is Theodor Geisel, was born and raised in Springfield. He wrote and illustrated dozens of rhyming children's books including, "The Cat in the Hat" and "Green Eggs and Ham." A Dr. Seuss museum opened in the city earlier this year and the Democratic mayor notes that attendance has been "through the roof." He said if Cambridge doesn't want the books, Springfield will take them. Sarno also praised the first lady and invited her and Republican President Donald Trump to visit the Springfield museum. The first lady sent Dr. Seuss books to schools across the country earlier this month to celebrate National Read a Book Day on Sept. 6. A spokeswoman for Melania Trump said the Cambridge librarian's response was "unfortunate" and the first lady remains committed to children's causes. Soeiro could not immediately be reached for comment. 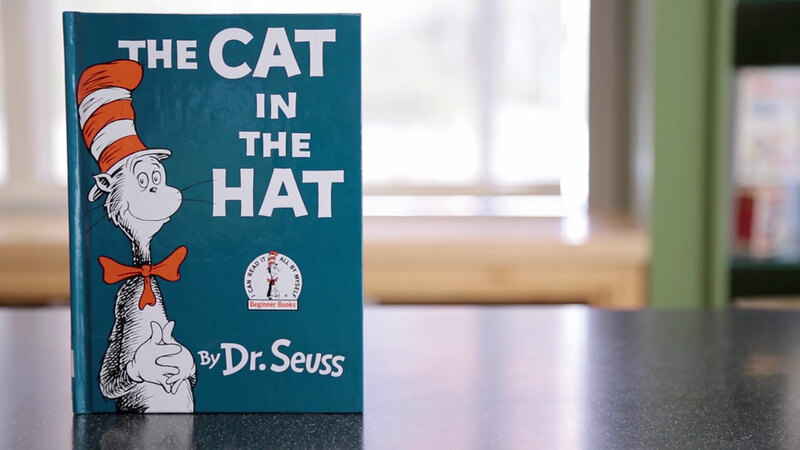 But in a blog post, the librarian called Dr. Seuss a "tired and worn ambassador for children's literature" and said his illustrations are "steeped in racist propaganda, caricatures, and harmful stereotypes." The Cambridge school system distanced itself from Soeiro's opinions, saying her comments were "not a formal acceptance or rejection of donated books."